Tiagomorto, psychoanalyst, is a man without a past who arrives at a house where Clémentine is about to give birth. He helps her deliver triplets, and, from then on, becomes her guest. He will try to find people to psychoanalyse around him and, by doing so, fill his body with a life mater he doesn’t have, made from other people’s memories and suffering. The village is a micro-cosmos of a world turned upside-down. 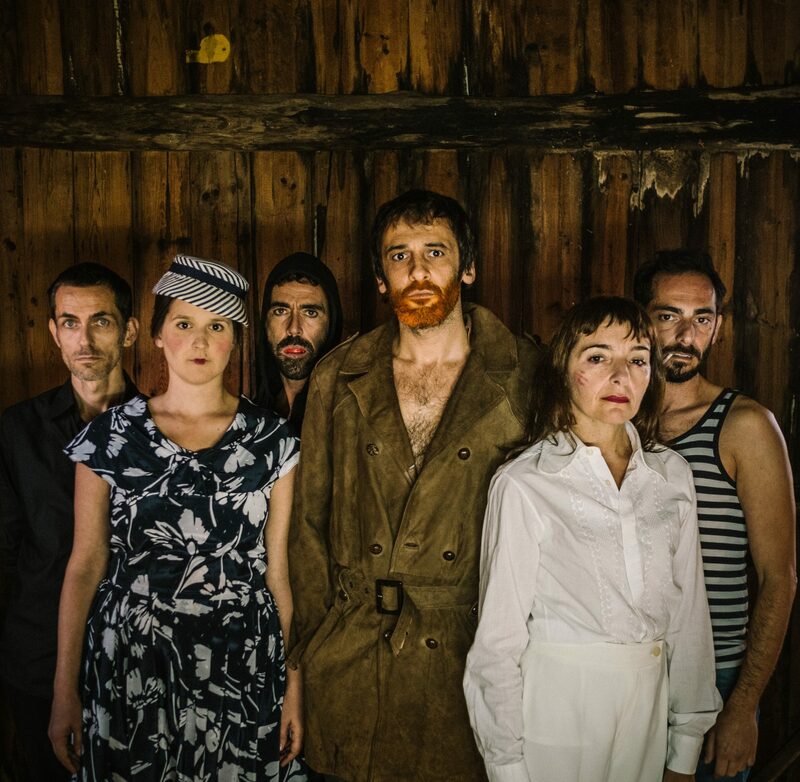 Nuno Nunes adapts Boris Vian’s novel to the theatre, reflecting on what, nowadays, we consider to be absurd, brutal and excessive and to what we respond, for the most part with indolence. A performance with live music, about clarity and against indifference.